Priyanka Chopra in the new poster of Hollywood movie ‘Baywatch’. 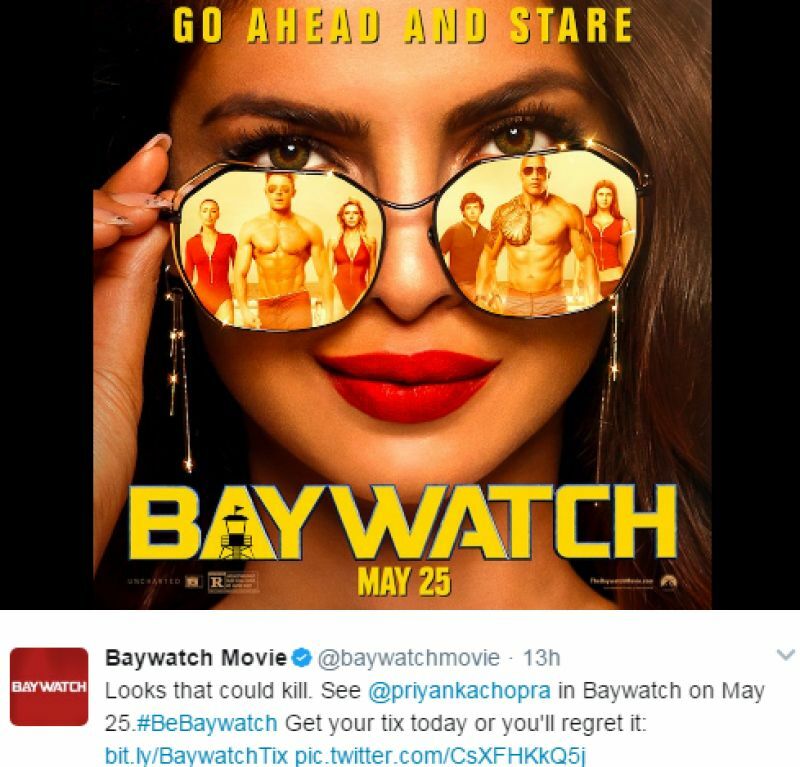 Mumbai: Priyanka Chopra has got the looks that could kill and the global star proves it yet again in the new poster of her upcoming flick ‘Baywatch’ where she has easily managed to grab the spotlight. The entire star cast of the film, including Dwayne Johnson and Zac Efron, are on the poster but it’s Priyanka who hogs all the limelight. The statement from the picture reads ‘Go Ahead and Stare’. The Seth Gordon-directorial is an American action-comedy film, featuring Priyanka as the antagonist Victoria Leeds and is based on the hugely popular television series of the same name. The film also stars Alexandra Daddario, Kelly Rohrbach, Jon Bass, Ilfenesh Hadera, Yahya Abdul-Mateen II, David Hasselhoff and Pamela Anderson.